The EHF Court of Arbitration has issued its decision in the case involving the German national team player Dominik Klein. Dominik Klein had been sanctioned by the EHF Disciplinary Commission with a two match suspension from national team competitions for dangerous conduct following his direct disqualification during the 2012 Men's EHF European Championship match Germany against Poland played in Belgrade on 25 January 2012. Following appeal proceedings initiated by the German Handball Federation, the decision of the EHF Disciplinary Commission was confirmed by the second EHF disciplinary instance, the Jury. 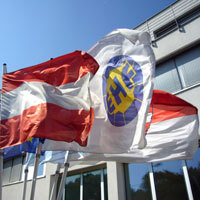 The EHF Court of Arbitration deciding on the case as last instance set aside the decisions of the EHF Disciplinary Commission and the Jury, and upheld the German Handball Federation appeal. Dominik Klein is therefore eligible to play with the German national team in the Play-off matches for the 2013 Men's World Championship.